Listen, I’ll tell you right off the bat that the baby elephant is cute as hell. I expect a large portion of the audience walking into Tim Burton‘s live-action Dumbo film is mostly concerned with the adorable-ness of the titular flying pachyderm—I’m sure Disney’s merchandising department feels much the same—and friends, this they at least nailed. 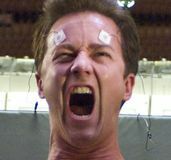 The folks over at RISE Visual Effects Studios took what easily could’ve been an unnerving sight and turned it into a genuinely loveable CGI creation with an actual personality to boot. Is Dumbo a fully-fleshed-out film with basic components like character arcs or conflict? Not entirely, no. Would I fight someone to protect the happiness of this completely fictional CGI baby elephant? Can’t rule it out. 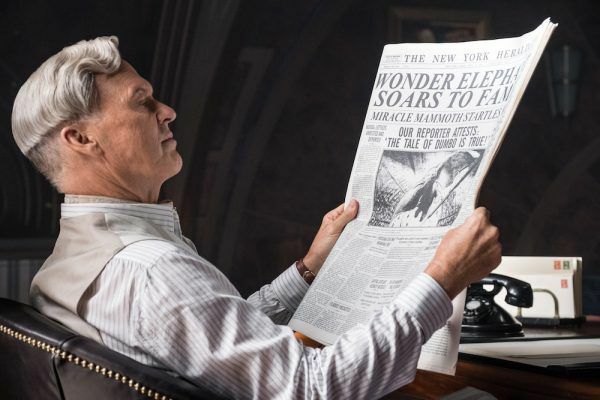 Dumbo maintains a lot of the basic plot elements from the original 1941 animated film—which, tellingly, is barely over an hour long—but fills in the gaps with a cast of original human characters. 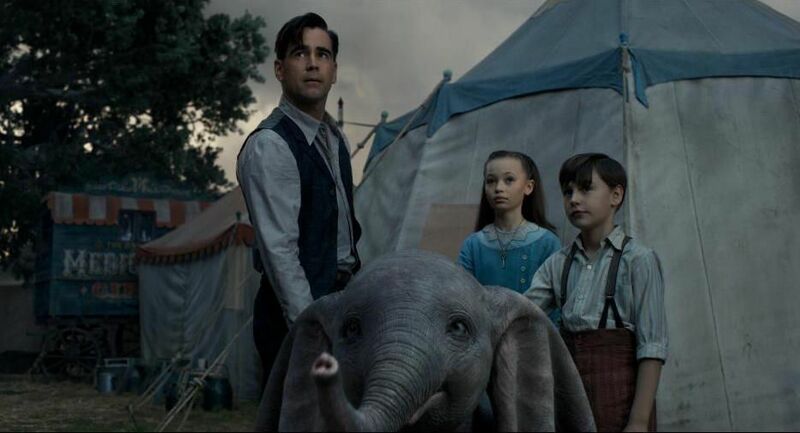 Circus performer turned military man Holt Farrier (Colin Farrell) returns from WWI missing an arm to find his wife has died, his children Milly (Nico Parker) and Joe (Finley Hobbins) barely recognize him, and circus owner Max Medici (Danny DeVito) has sold his horses, leaving him without an act. But the down-on-its-luck Medici Bros. Circus has acquired an elephant, Mrs. Jumbo, who soon gives birth to a baby elephant with inexplicably large ears and the ability to fly. Branded “Dumbo” by an absurdly mean crowd—people in 1919 were just monsters, I guess?—the soaring elephant catches the attention of V.A. Vandevere (Michael Keaton), the low-key insane proprietor of the mega-theme-park Dreamland who buys out Medici Bros. and insists Dumbo flies with his star attraction, trapeze artist Colette Marchant (Eva Green). At an hour and 52 minutes, Dumbo isn’t exactly a short film, but it certainly feels like there’s a whole lot more movie that ended up on the cutting room floor. Everything is streamlined to maximize the amount of time spent watching Dumbo do his Dumbo thing—again, delightful—but the characters around him get massively short-changed in the process. Farrell is charming as Farrier even if he’s only committing to a southern accent roughly 40% of the time, but his arc is basically “kind of likes his kids” to “actually likes his kids, I guess.” If we’re being honest, the two kids themselves are maybe the least consequential bits of the movie; they’re less characters than they are vehicles to deliver stock Disney-isms with an oddly clipped tone. Ehren Kruger‘s script insists every scene contain at least one Big Lesson you could picture written in star-dust font on a Disney World wall. If anyone stands out, it’s through the sheer force of the actor’s presence and not the character itself. I can’t even tell you what Michael Keaton is going for as V.A. Vandevere, but I do know I’m here for every campy second of it. Donning a white wig straight out of your gaudiest nightmares, Keaton’s character seems to exist in a much less saccharine, much stranger version of this film. 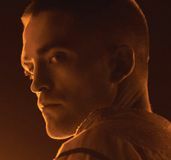 The actor delivers simple words like “protege” like he’s scarfing down a four-course meal. The performance itself is fascinating even before you realize that Keaton—inarguably the film’s villain—is basically playing Walt Disney. If only the other residents of Dreamland got to have half as much fun. 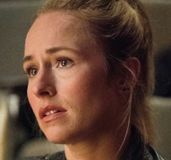 Green does a fantastic job embodying the acrobatic aspect of Marquette physically, but the character doesn’t have a journey of her own to speak of. 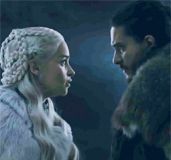 As Vandevere’s main henchman Neils Skellig, Game of Thrones alum Joseph Gatt has zero personality outside of the fact he’s super into killing elephants. It’s almost a shame the story is so paper thin, because visually Burton paints a gorgeous tapestry that brings to mind his most creative work. (See: The stuff from before 2005.) 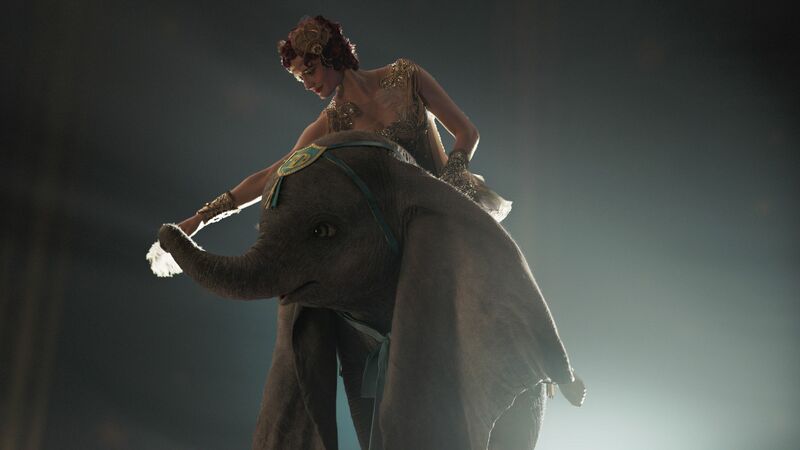 Helped in no small part by dazzling output from Oscar-winning costume designer Colleen Atwood, the director’s sense of spiraling dreamscapes is right at home in the circus. I know Dumbo was shot exclusively inside studio space, so I appreciate how much weight there is to the sets themselves. This isn’t Alice in Wonderland; Burton brought exquisite physical detail to each layout. When cinematographer Ben Davis (Captain Marvel) moves through a circus scene, it’s a joy to just watch like, the people balancing balls on their heads in the background. Tonally, Burton’s sensibilities sometimes feel at odds with the Disney of it all. The humor especially, which I actually found a lot stronger than expected but is often way too weird for the presumably young crowd. Alan Arkin shows up eventually as a big-talkin’ Wall Street tycoon J. Griffin Remington, but he’s basically just playing Alan Arkin, and I’m genuinely unsure what subsection of the Dumbo audience that character is for. But again, a circus is only as good as it’s main act, and if you simply came to watch a precious baby elephant flying around the big top, Dumbo delivers the goods. But the movie tugs at the heartstrings in the same exact way Disney has been doing since those dang adorable woodland creatures heard Snow White singing in 1937. You can’t exactly knock a formula, but it is a formula. Like most circuses, Dumbo will occasionally make your heart soar. But it’s best not to look too closely behind the curtain, because those thrills might start to look mighty cheap.